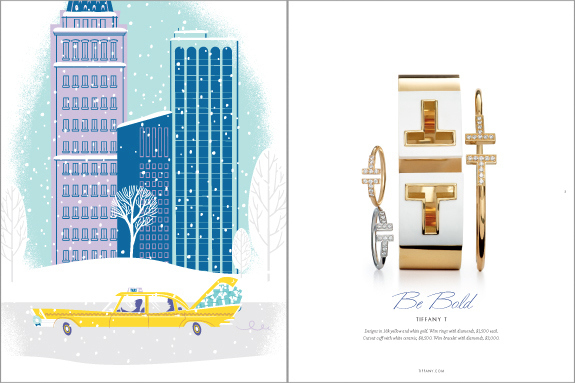 Tiffany & Co.’s Holiday 2014 catalog is an ode to New York in the winter. 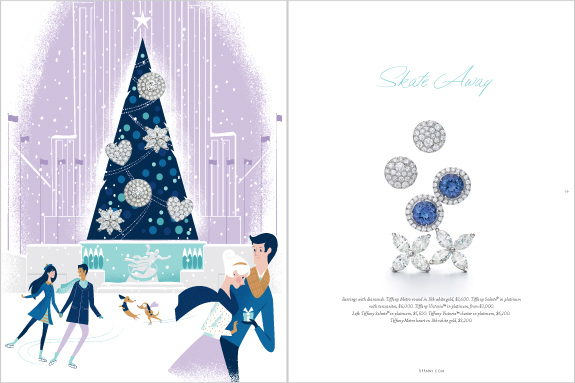 Nearly every page of bling and baubles is paired with nostalgic illustrations of my favorite places to celebrate the holiday season. 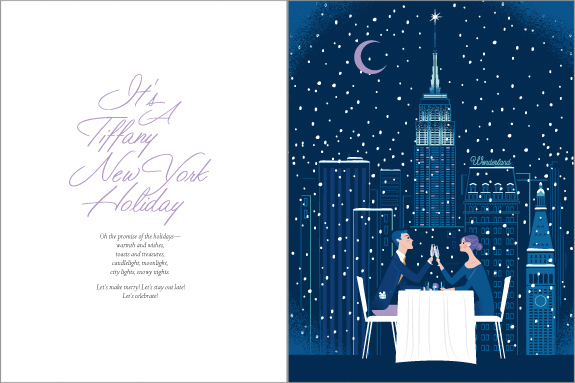 Keep reading to see Tiffany’s depictions of my beautiful city dressed up in its festive finest. 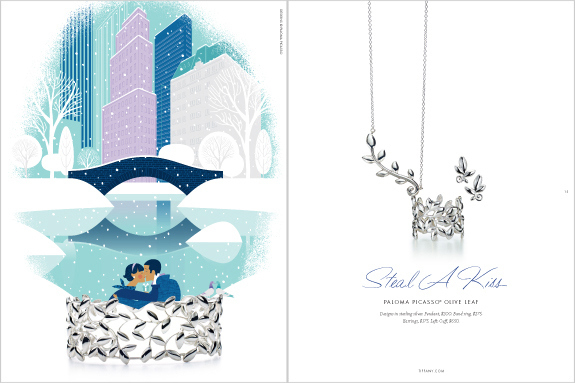 Browse the catalog below. Click here to start shopping. Dinner for two with a view of the Empire State Building. Left: A yellow cab overflowing with little blue boxes. 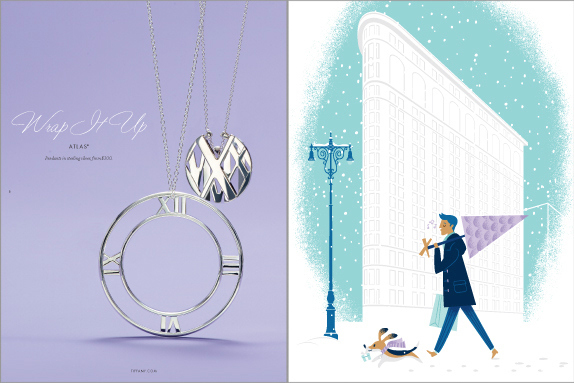 Right: The Tiffany T collection. Left: The Atlas Collection. Right: A Christmas tree and the Flatiron Building. Left: Romance in Central Park. Right: The Paloma Picasso Olive Leaf collection. Left: Ice Skating at Rockefeller Center. 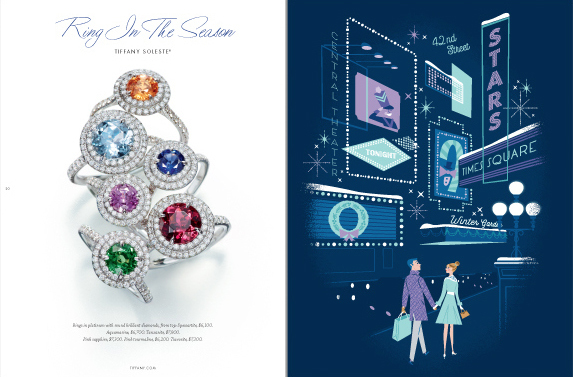 Right: Diamonds and sapphires. Left: The Soleste collection. Right: The bright lights of Times Square. Left: Bling. 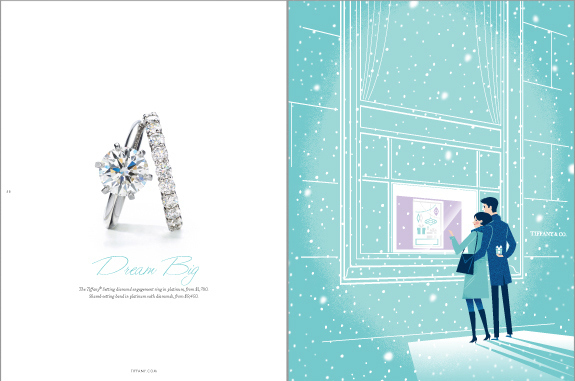 Right: A snowy engagement at Tiffany’s on 57th and 5th.